Real truth time. My work space is in a perpetual state of crazy. I would love to be the kind of person who can always keep her work space perfectly neat, but as my husband will tell you, I am not. No sir. I would rather have all my projects out where I can see them as I’m working, than have to clean up every day when I’m done. But saying all that, I still get a huge sense of calm looking at other crafters’ beautifully designed studios. Those floor to ceiling built- in shelving units; the pegboard with a hook for every tool known to man. 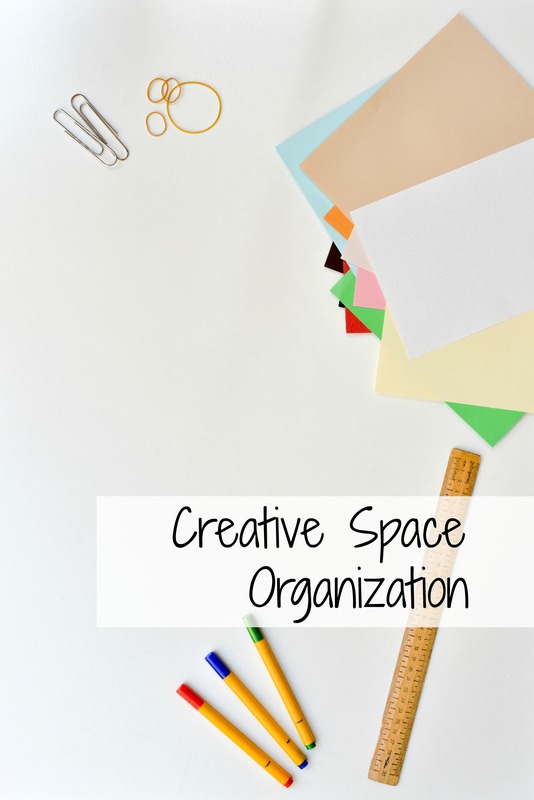 In the hopes that some day when I have more time, space and room and I can get my act together, I’ve been gathering lots of amazing photos across the web and here’s some of my favorite creative space organization ideas! The amazing Beckie at Infarrantly Creative built this behemoth beauty of a craft table that I’m sure has most crafters swooning. Its seriously uh-MA-zing! And some pegboard perfection from Mandy Pellegrin’s home tour on A Beautiful Mess. I am a massive fan of the incredible Lia Griffith and her house tour featured on Eclectically Vintage was so exciting to see! Her flat paper storage unit is something I really need in my life. For the accessories, Christie at Sparkles of Sunshine came up with this puppy washi tape holder. I can’t handle the cuteness! Linda from It All Started With Paint shared her mason jar craft storage with chalkboard labels. So simple, but just so darn perfect! Finally, an absolutly brilliant idea fro Cathe at Just Something I Made. In a post about her studio storage, she shares her unique use for an antique truck. Seriously, y’all, I could have filled up this entire post with her ideas. Her space is so inspiring! What’s your favorite organizational trick for your studio? I’d love to hear all about it! Leave a comment below and be sure to follow my Creative Studio board on Pinterest to see all the other goodies I’ve found! Follow The Papery Craftery’s board Creative Studios on Pinterest. Fun ideas! Thanks a bunch for sharing my vintage truck and for all your kind words. Great post – some new ideas I haven’t seen! Awesome, Jennifer! Thanks for stopping by! That’s very amazing , very creative idea never seen it before just found your article ! Really appreciate thanks for sharing the post !